We all know that negative thoughts won't help us move forward into better times, but with the economy and the country in turmoil, it can be easy to lose hope in the New Year. For some, the feeling of hopelessness stems from an illness, loss of a job, legal difficulties, loss of a home to foreclosure, or children who can't seem to "get it together." Overcome those feelings of hopelessness with help from Feel Bach! Dr. Bach understood the wide range of emotions that can make us spiritually and physically ill - and he created 38 flower essences to help us deal with those emotions, get back into balance, and get in tune with our higher selves. This year, go forward with hope and positive action. Choose the "Get Hope Back" blend of flower remedies from Feel Bach! When you have renewed hope, you'll face your challenges with a positive attitude, and you'll be able to find solutions. If you're one who can't seem to say "No," it's time to invest in the flower remedy Centaury. This time of year you can get pulled in far too many directions, and allow other people's wants and needs to destroy your pleasure in the holiday. This year, decide which activities you want to enjoy. If you love baking cookies for your child's class, do it. If you want to host 3 parties and attend 6 more, do it. If you love going shopping with 3 other people, do it. If you want the whole family to come for Christmas Dinner, invite them. But if you really don't want to do one or more of those things, let Centaury from Feel Bach! give you the assertiveness to "just say no." Even humans who love the Christmas season can get upset and tense because there are so many extra things to do and places to go in December. Think of how upsetting it can be for your dogs and cats, when they don't understand the reason for it. 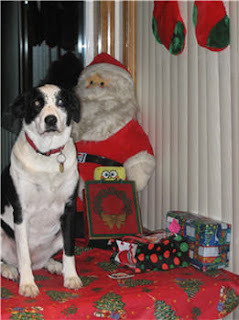 Most pets don't enjoy having extra people coming and going, having their routine altered because you're not home as much as normal, and the worst of all - being sent to a boarding kennel if you go out of town for the holiday. So do them a favor. When the days begin to get hectic, add some Feel5ive to their water dishes. And if you're going to be leaving them in a kennel (or with a house sitter) instruct the care giver to do the same. And... If you're going to be away from home more hours than usual with shopping and parties, give them "Home Alone" to help them cope with the empty house. Dr. Bach's Remedies are perfect for people - and just as perfect for pets. This time of year some of us get into a holiday mood. We get involved with decorating, shopping, baking, and listening to favorite Christmas songs. If you're one of them, you really are missing out on enjoying a twelfth of your life, so take some time to figure out why, then order some flower remedies from Feel Bach! and start getting over it. Is this a holdover from childhood? Maybe you didn't get the gifts you hoped for. Maybe something traumatic happened at Christmastime – like the death of a loved one or a break-up in the family. Is it about money? 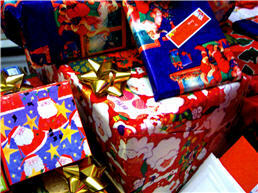 Maybe you don't have enough to buy the gifts you'd like to give. Is it insecurity? You're expected to entertain family or business acquaintances and think you won't measure up. Is it seeing family members who always put you down? Is it loneliness – because you've lost someone or because you've never found your soul mate? Right now, before the season gets into full swing, come overto Feel Bach! and take the questionnaire. Then let our experts mix the blend that will help you begin to enjoy the Christmas season. ADHD can get in the way of a child's ability to learn, and prevent an adult from both social and financial success. The pharmaceutical industry has "cures" that control the symptoms, but don't remove the source. In addition, the drugs have potentially harmful side effects. Because the problem is so widespread, Feel Bach! has developed an Attention Deficit shelf blend to address ADHD and help sufferers re-balance their energies. Many are reporting success using this product alone, but there's even more you can do to help. Look for allergies. Sugar has long been blamed for hyperactivity in children – try eliminating it. Then try eliminating artificial sugar. But don't stop there, different people have different allergies. I know one person who can't drink orange juice – not because of the oranges, but because of the chemicals that were sprayed on them while they were growing. Remove one food at a time and you may find the culprit. Transcendental Meditation is proving to be a benefit to children and parents alike. In a study done over a 3 month period, children were asked to sit still for 10 minutes at a time and concentrate on repeating just one word, over and over. They repeated this exercise 2 or 3 times per day, with impressive results. Teachers and parents both reported an increase in attention span and ability to focus. We here at Feel Bach! wish you a very Happy Thanksgiving - and a coming year filled with even more reasons to be thankful. We're thankful for your ongoing support - we appreciate the loyalty you've shown us over the years. If you're traveling to be with family, do remember to take your Feel5ive along. Keep it handy for those sometimes stressful travel times, and for those times when Aunt Amanda or Cousin Earl push your patience to the limit. Please also remember your pets this holiday season - if the company is coming to your house, put a few drops of Feel5ive in their water dishes to help them cope with the confusion. 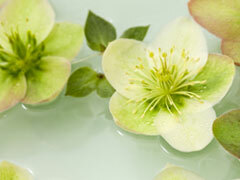 Are you aware of the Bach Flower Essences User's Guide? Our primary site, www.feelbach.com, has short excerpts about what each of the 38 Bach Flower Essences can do to help you. The user's guide at www.bachflower.org offers a more in-depth look at each of the essences. This website offers insight into how to recognize symptoms when someone is in need of a specific flower essence. The explanations allow those who do not have access to a Bach Flower practitioner to more easily determine which essences will help them the most. 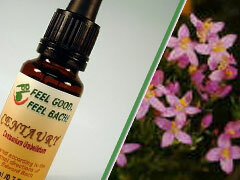 Start with the short explanations on www.feelbach.com, then after you've chosen the possibilities, choose those essences on www.bachflower.org for more in-depth information. Be sure to read all the pages that might apply, as there are subtle differences between the various Bach Flower Essences. Then come back to Feel Bach! to order your own special blend. If you aren't sure - take our questionnaire and our Bach Flower specialists will help you choose the blend that's just right for you. Resentment is a common emotion today – and so is jealousy. It's been that way for several years, as the economy worsened and people lost jobs and homes. Every day the news seems to bring some new outrage – a story of the CEO of a major bank being given a multi-million dollar bonus or a politician flying off to an exotic vacation - while the "common working folks" struggle to put gasoline in the car and food on the table. And now, since Hurricane Sandy hit the East coast, resentment is running rampant. Those who don't yet have power are angry and resentful toward those whose power is back on – and they're angry at whoever decided which power lines would be repaired first. The truth probably is that the workers started with what could be finished fastest to get the most people back in power – but those still without it don't want to hear that there's a good reason. Then there's the food. While thousands of meals have been handed out to storm victims, the volunteers can't be everywhere at once – so those who haven't been served are angry. They see it as a sign that they're being discriminated against. Those who are suffering from these emotions are in a negative Willow state. For many of the hurricane victims, it's a temporary condition brought on by frustration. And it's really a shame that they're experiencing this while there is so much to be thankful for. If they'd look around and see the outpouring of care and love being freely given by volunteers, their lives would be enriched. Hopefully, the hurricane victims will get over it, because when resentment becomes a life habit or a personality trait, it effectively blocks the enjoyment of life. 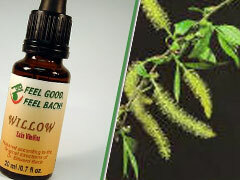 If you're feeling resentful and angry, it's time to use the Willow Bach Flower Essence from FeelBach! to bring those negative emotions under control. While you're visiting bachflower.org, take time to read about the other 37 Bach Flower Essences. Then you'll recognize the symptoms of negative states and know when to reach for Bach Flower Remedies to help you through life's rough spots.